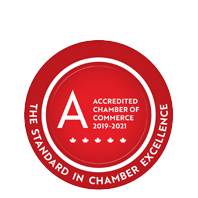 Butler Built Inc. | Auto Repairs | Transportation Services - Business Directory - St. Thomas & District Chamber of Commerce - ON, ON ? Butler Built Inc. is a family owned and operated business that was started in 2009. They are a garage repair facility for transport trucks, with a specialty in repairing car carriers. They perform most mechanical repairs, welding, hydraulics and safety inspections. They also take pride in working with the local high schools in taking on co-op students, and offering apprenticeships for welding and mechanics.